This course is for people who have basic knowledge in English. 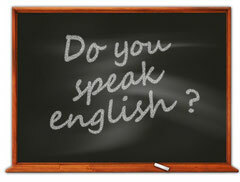 Did you learn English at school but you haven´t been able to speak it on a regular basis ? Is it difficult for you to speak English? Now you have the opportunity to practice your language skills in a small group. The course concentrates on speaking and communication. We have interesting small group and individual conversations where you can apply your language skills in different kinds of situation. Students can choose the topic of the conversations themselves. We have everyday, academic and work related conversations. We have an relaxed atmosphere and good team spirit. Come and feel it yourself! The first two lessons are for free! Our teachers are professional pedagogues. They have gathered work experience from different Universities and schools, and their passion is to tranfer their language knowledge to other people.